- Full range audio tactile transducer (speaker). - Attach behind ceilings and walls (inside) for a truly invisible home theater experience. 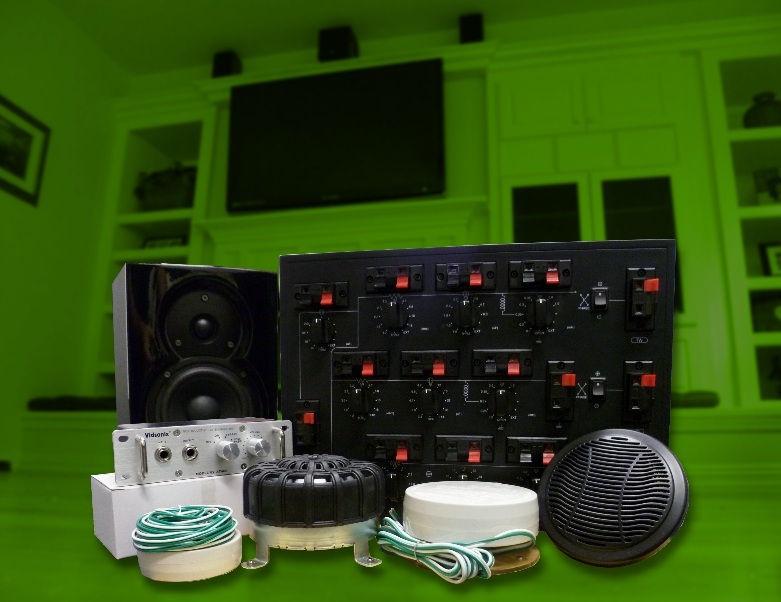 - No unsightly speakers visible anywhere - these speakers are completely hidden behind your project / walls. - Mount to plywood, fiberglass, or a number of other materials to propagate sound through the air. - Great for a number of projects, including plate reverbs, spas and hot tubs, bath and message therapy applications, museum exhibits, tactile feedback and experimental projects. - Includes 13 ft of wire, mounting disc, screws and center bolt. [EACH] 3" Tactile Transducer - "GHOST"
- Dimensions: 3" diameter, case depth 1", with attachment bracket, depth is 1 1/2". Cannot be ordered separately - must be ordered with transducer unit order. [EACH] 4.25" Tactile Transducer - "PHANTOM"
- For applications that require higher power handling. - Same precision and quality as our 3" full-range tactile transducer. - Use multiple transducers for even higher power handling and louder total output (require additional amp power). - Includes 13 ft of wire, mounting disc and bolt. - Compare to others costing 5X as much. - For applications that require medium power, lower frequency audio signal handling. - Deepest bass response of our transducer line. - Mounting footprint 5.5" x 5.5"
reserve the right to request additional shipping cost as warranted by destination. our European Distributor, Techvision. (Also at eBay.UK). We appreciate your support and understanding of these terms.